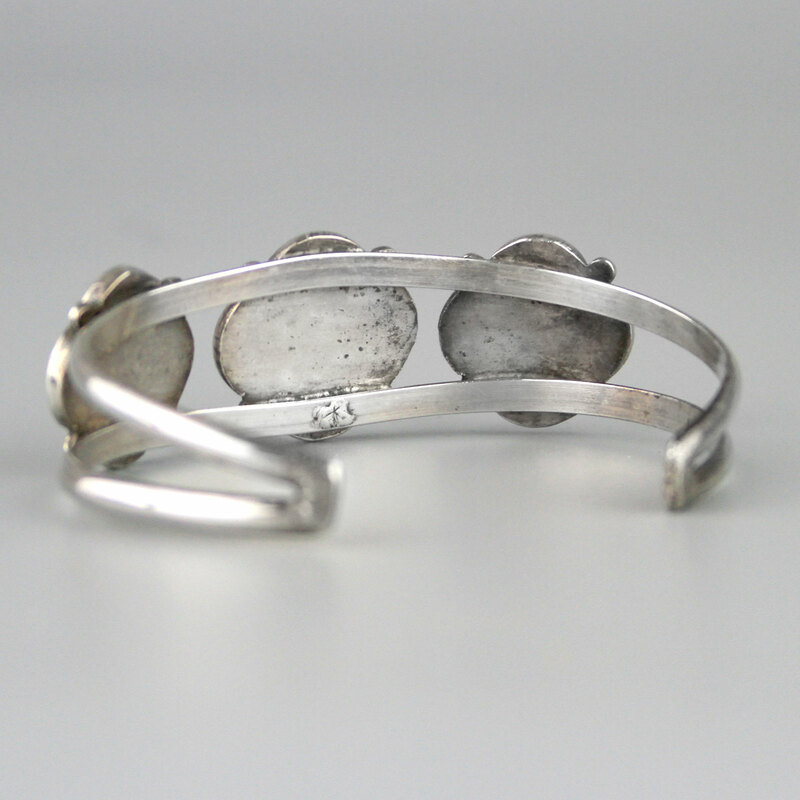 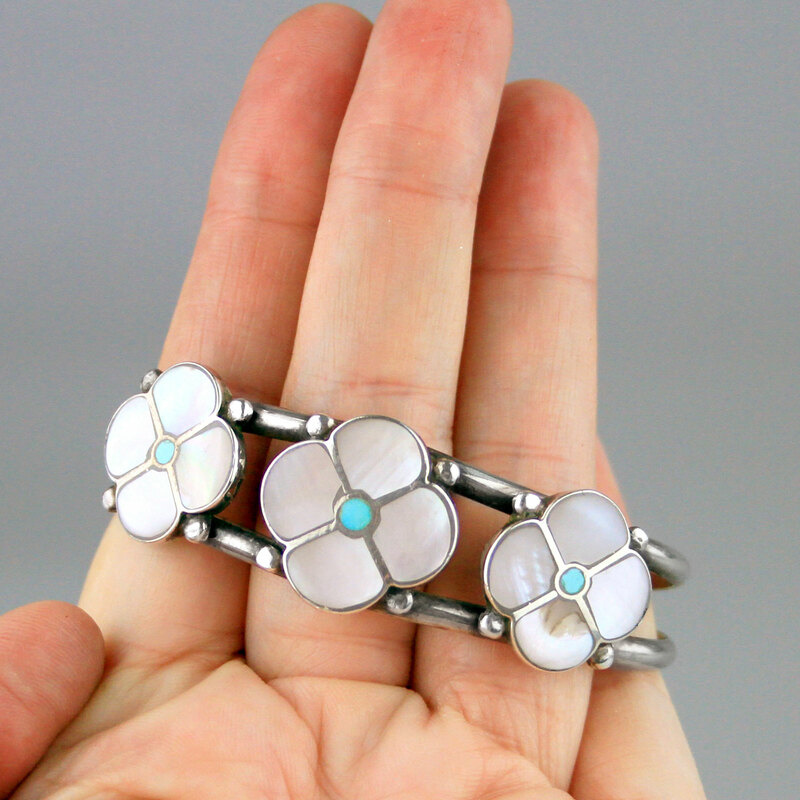 Beautiful, handmade Native American, navajo cuff. 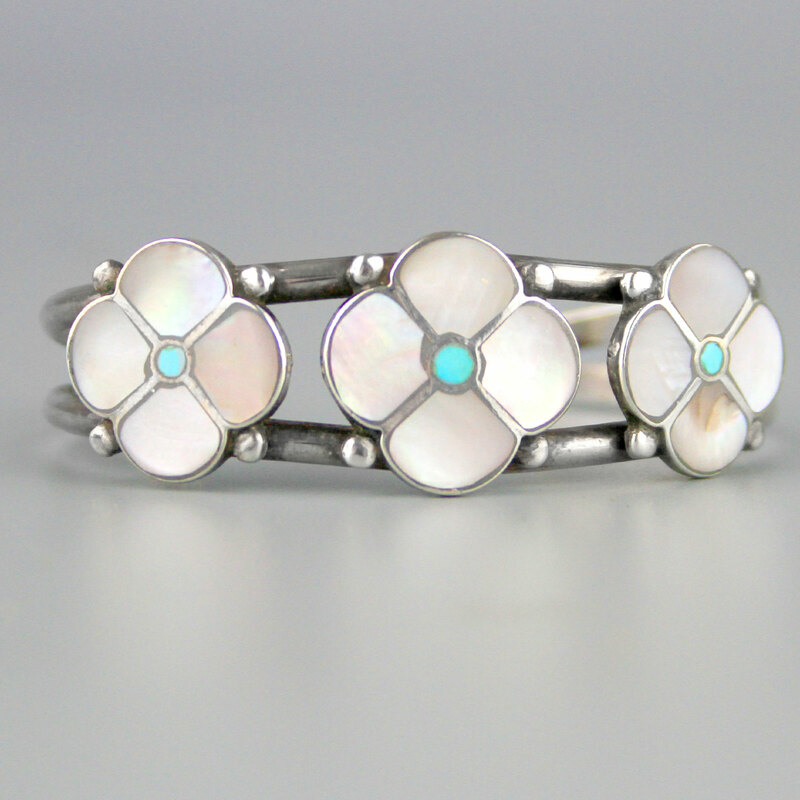 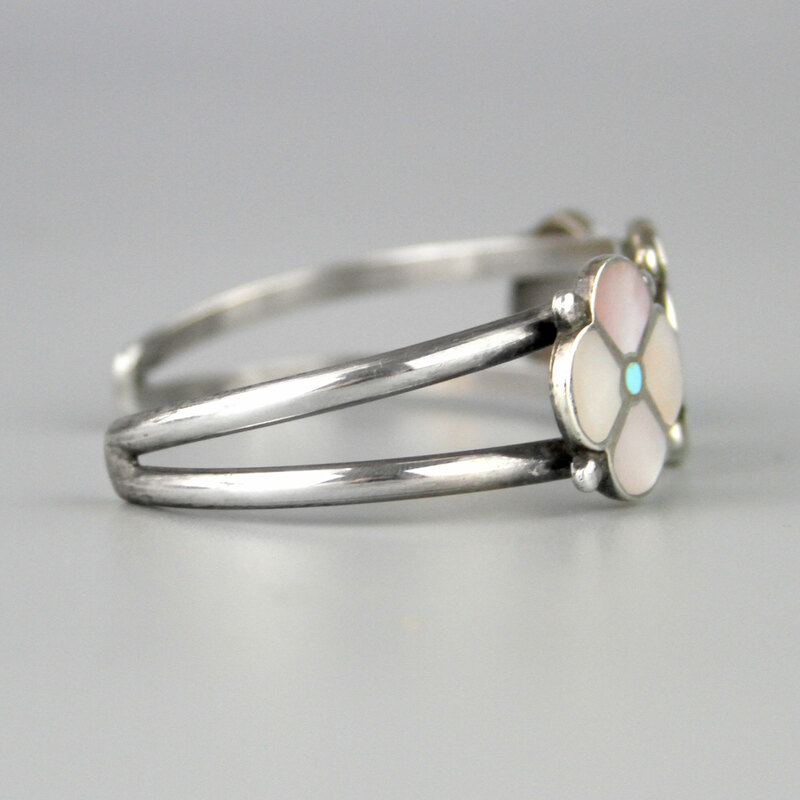 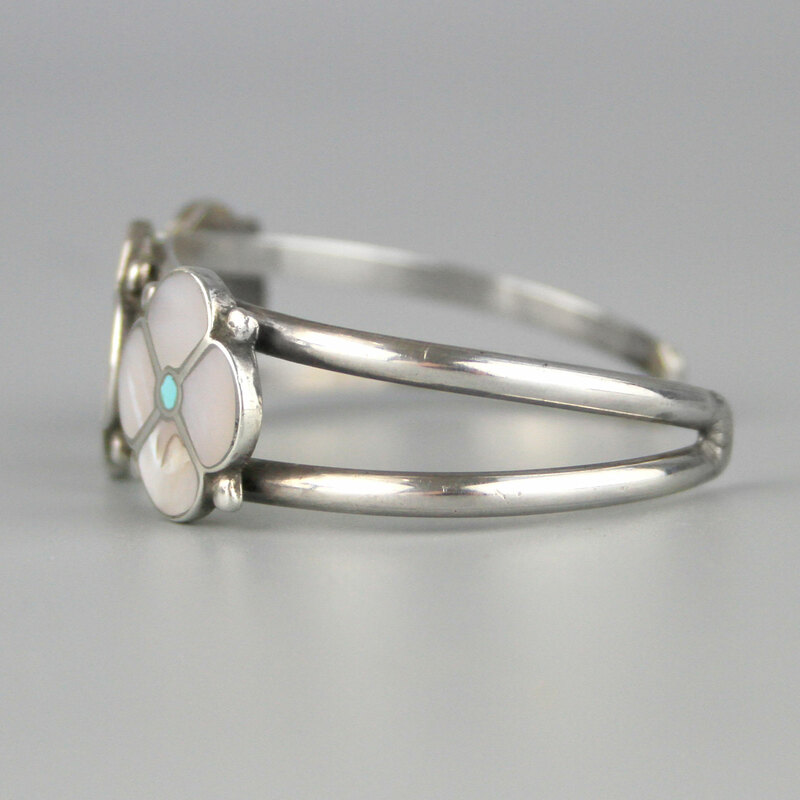 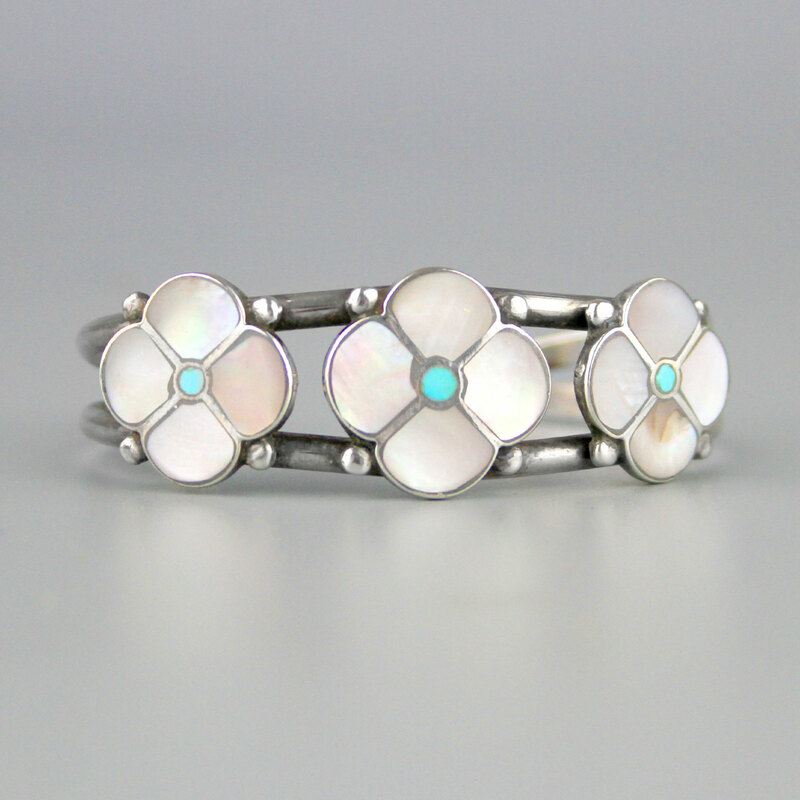 Sterling silver with three creamy pink flowers, made of mother of pearl inlay with turquoise centres with sterling edge details. 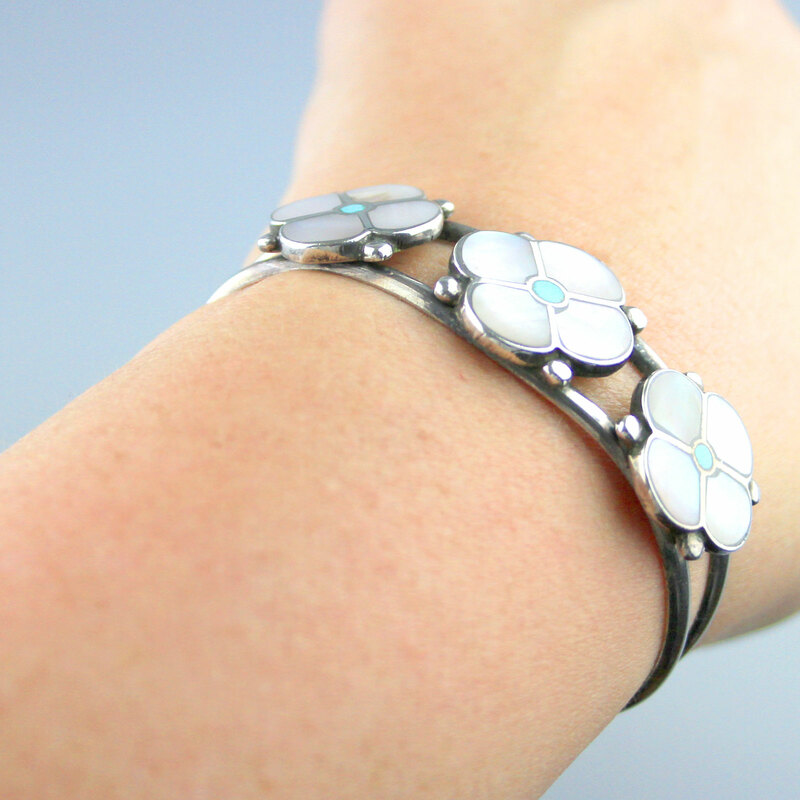 Neat work, nicely made, very pretty colours and design, nice quality handmade bracelet.